Believe it or not, summer is right around the corner! Although it may seem like you just finished making Valentines and spring watercolors with your students, summer will be here soon. No worries, though. 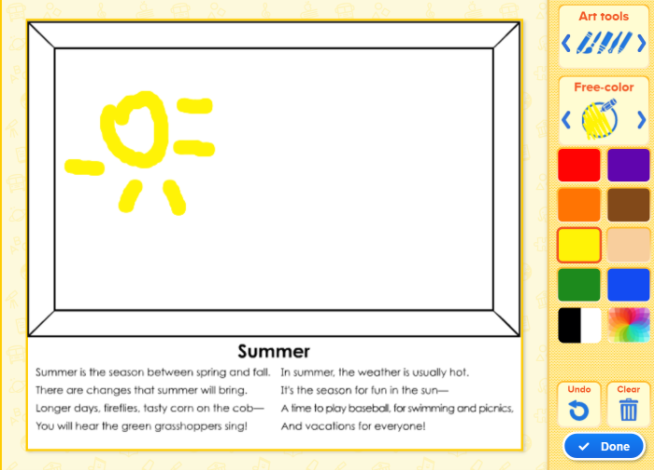 ABCmouse can make your summer lesson planning easy. In fact, there are lots of options for adding sunshine and beach themes to your classes with just a few clicks. Here’s a sampling, with links for each. The poetry painting activity allows your students to use a variety of art tools to illustrate a summer verse. Once complete, the page can be printed and sent home with the student. 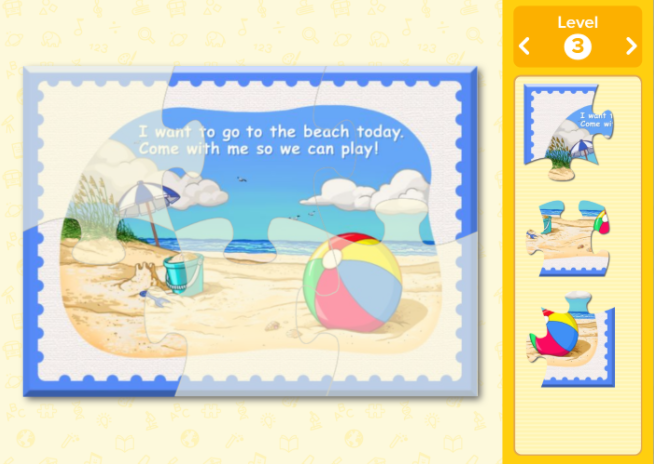 Like all of the activities on ABCmouse, the summer beach jigsaw puzzle can be customized by level to fit each student or class. Brianna’s Summer of Fun interactive book explores several timely activities, including swimming, visiting relatives and camping. You’ll also find related lessons that you can assign your student to extend learning home. New content is regularly added to ABCmouse, so you’ll always find something fun and interactive for your class. Check out the “What’s New” section or utilize the search function to easily find the perfect lesson.